Hello there inky friends! 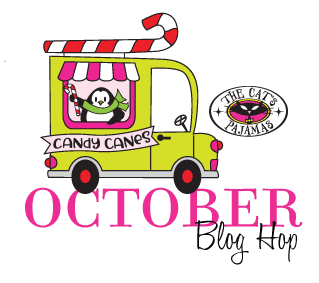 I'm joining my fellow The Cat's Pajamas designers as we share some of the fun new and fabulous Christmas themed stamps and dies releasing this month! If you've arrived here from Brenda's blog, you're on the right track! I'm excited to share several projects throughout the month but today, my focus is on SNOW! I love snow. Yes, the big, fluffy white stuff gets me all giddy and excited. When I saw this month's collection it made me so excited and hopeful for a season of REAL snow! I'm crossing my fingers that I will have a snowy season this year! How about you? Do you love snow? 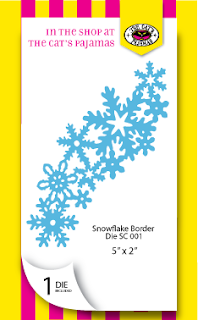 The Snowflake Border die is just too gorgeous. I love using it as an accent and as you can see, this pretty little die can be sparkled up and intertwined with other stamps/dies. 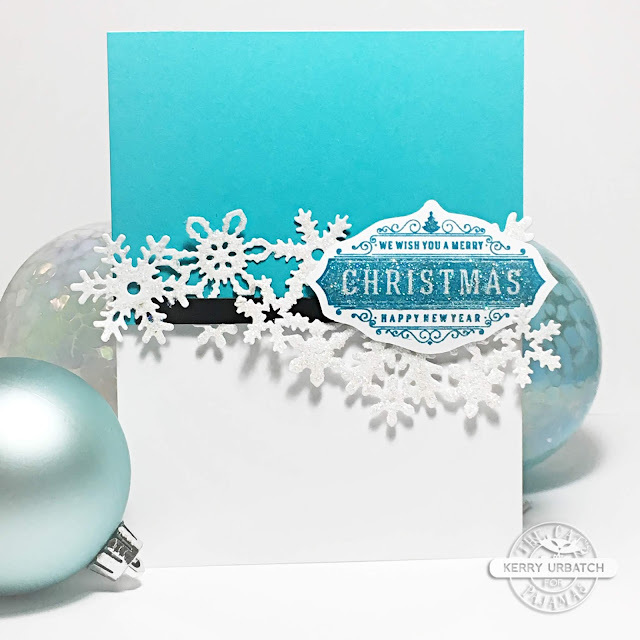 I paired the snowflakes with the Christmas Seals stamp set. I stamped it with VersaClair ink and added some microfine glitter for sparkle. 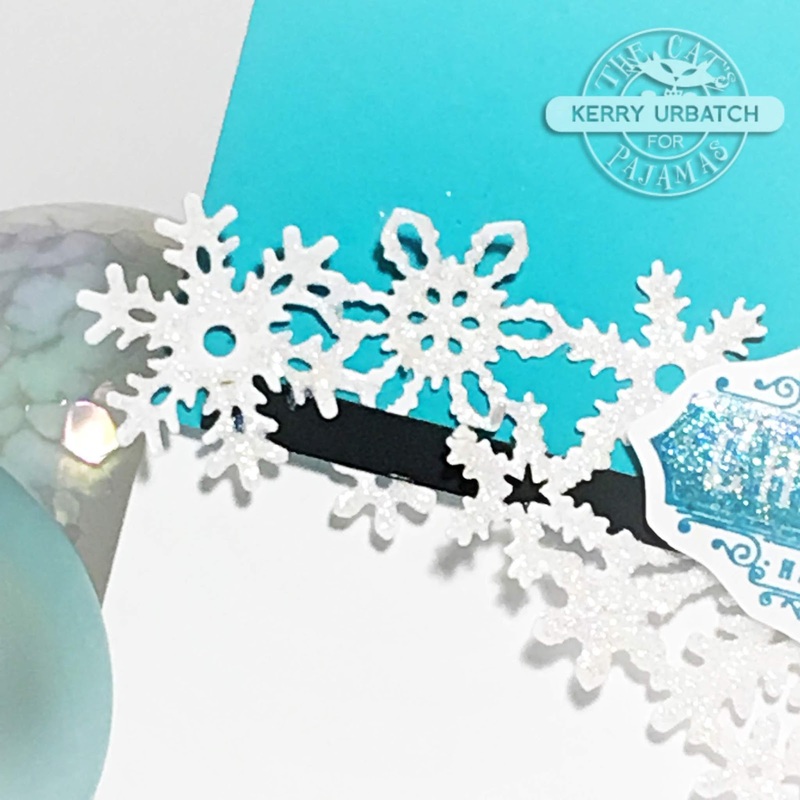 I threaded a little piece of black cardstock through the snowflakes to give a little pop to the center and separate the aqua and white color. It also helps the snowflakes show their movement, I think. Yummy sparkle! I love it! I'll be back tomorrow with another fun snowflake-inspired creation. Until then, please make sure to hop right over to Deborah's page and check out what she has to share! This is so beautiful, Kerry! 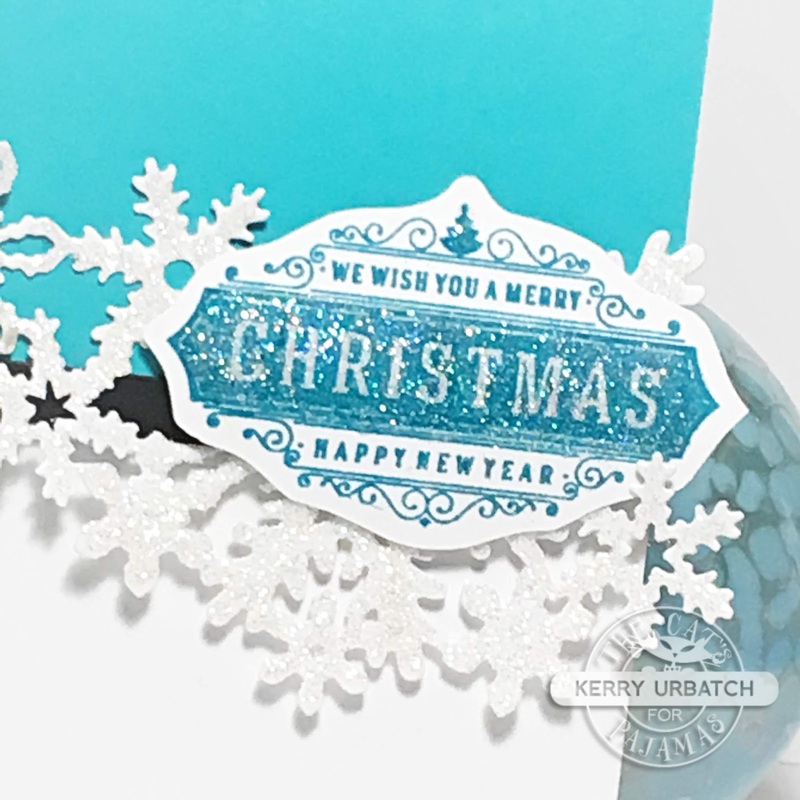 Love how the simple layout makes the snowflakes and sentiment pop. Classy AND fabulous! Love that Snowflake Border! Beautiful card! Thank you Denise! I love it too! Simple yet really beautiful. Love the colors. Thanks Nancy. I wanted that snowflake swoosh to take center stage! The sentiment worked perfectly to tie in the Christmas theme!